The Law Offices of Gary A Kessler handles numerous dog attack cases each year. Most dog attacks occur in the hot month of August. The days are long and children are home from school. There are over 5 million victims of dog bites nationwide each year. The victims of dog bites sustain painful life-threatening injuries such as nerve damage, disfigurement, deep skin wounds, permanent scarring and sometimes death. 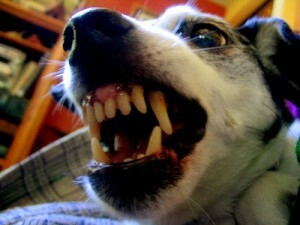 If the dog has not been vaccinated, the dog bite victim may need to undergo a painful treatment for rabies. Additionally, when children are involved, the psychological effects of being attacked by a dog are long lasting. Children are often the victims of serious attacks. Do not blame your child or yourself for a dog bite (attack). Kids make loud noises and make movements that can scare dogs. Sometimes when a child is merely expressing their love for a dog, such as attempting to hug or pet a dog, the dog will interpret this as a threat and will attack the child. The Law Offices of Gary A Kessler has handled numerous dog attack cases involving “Pit Bulls”, “Rottweilers”, “German Shepherd’s”, “Doberman Pincher’s” and “Siberian Huskies”. Plaintiff sustained injuries from the dog bite. If an adult who is employed sustained injuries and lost wages, keep a record of economic loss. Demand accountability from dog owners. Settling dog bite claims can be difficult and complex. Many times the insurance companies will play “hardball” if you try to settle the case yourself or you have employed a lawyer who does not have the litigation experience to handle such a case. We at the Law Offices of Gary A Kessler have 25 years of litigation experience and we know how to handle the insurance companies. We are prepared to front all of the costs required for the necessary investigations and expert witnesses needed to prepare your case for trial. Are the other law firms you are considering willing to front all costs? In a dog bite case, we advance all legal costs to prepare and present our client’s claim, and receive a percentage of the settlement or verdict of what we recover for our attorney’s fees on their behalf. Upon settlement our costs shall be reimbursed to us from the gross recovery. If there is no recovery, no attorney’s fees or costs are owed to our firm. Thus, in all personal injury cases, our fees are recovered as a percentage of any settlement or verdict awarded to our clients. Contact the Law Offices of Gary A Kessler today so that we can preserve the evidence and demand compensation and accountability from the responsible parties who caused you or your family member catastrophic injuries! If you or a family member sustained serious dog bite injuries contact the Law Offices of Gary A Kessler, an experienced law firm, immediately to protect your legal rights and preserve the evidence. The laws and time limitations can be complex so protect your legal rights by contacting the Law Offices of Gary A Kessler today.